Ladies, did you receive a very romantic gift from your men this Valentine's day? Who said that only men should give gifts during the day of hearts? The month of love is still not over, you could still give him a wonderful gift in return. Thinking of giving him a watch but don't know what kind of watch would suit him. 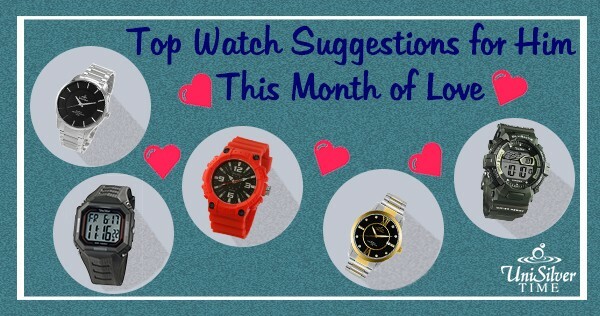 Finding the right watch for men is difficult, so here are our suggestions on what watch to give him depending on where he might use it. 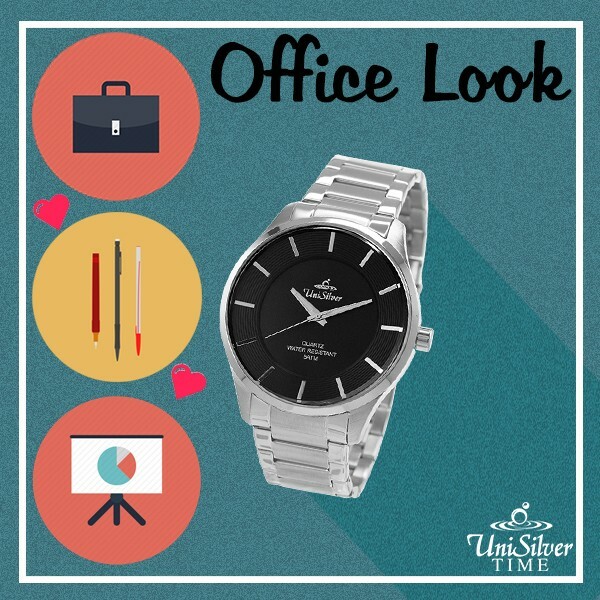 For his daily grind in the office, he needs something simple that will give him that well-dressed look with minimal effort - a versatile watch that could be worn with almost anything from his office wardrobe. 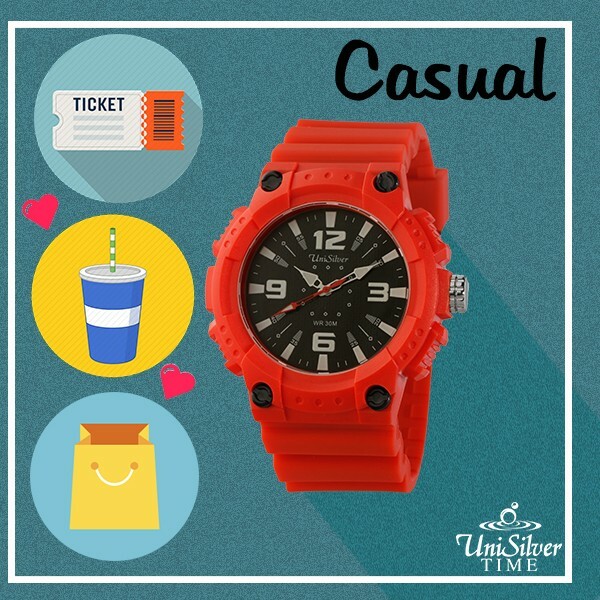 Give him a UniSilver TIME Cyklon Stainless Steel Analog Watch. Even without your occasional help in choosing what he should wear, you are guaranteed that he would look always sharp and stylish among his coworkers. Its elegant and versatile design will make him want to wear this timepiece every workday, and there will be no more late excuses for your dates - just make sure you are not the one who's late! For his hikes or other outdoor activities, he needs a durable watch that will still keep him in style. 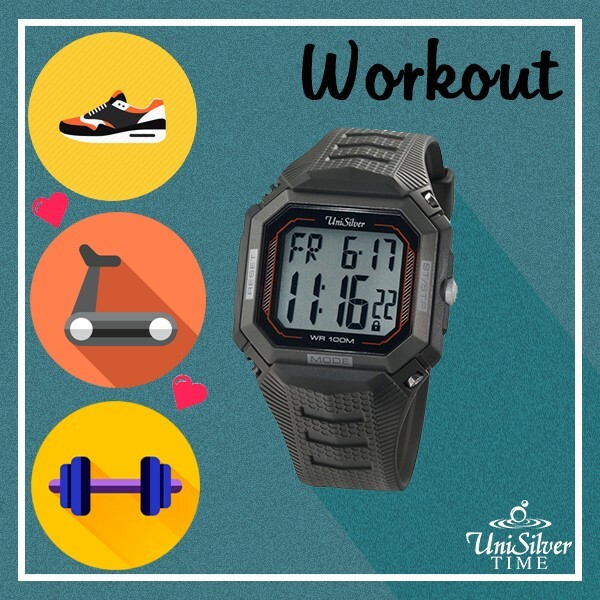 The UniSilver TIME N-Hancer Digital Sports Watch is our recommended timepiece. This watch is made from high-quality and hypoallergenic materials for long-term wear and wrist comfort. Its classic matte army green color exudes a rugged and masculine appeal, perfect for his get ups. Give him this watch and go with him on an adventure, and I ensure you, that both of you will have the time of your lives. Whether it's an event at the office or a romantic date with you, he needs a watch that would look impeccable with his basic black suit and tie (or bowtie). Complement his elegant and polished appearance, with a UniSilver TIME Epiphany Stainless Steel Analog Watch. This timepiece is the perfect accessory to his formal look as its gold tone accents will coordinate well with his dark ensemble. But don't you worry, when you're together with your man, you will still be the most beautiful piece he has! Out to have a meal, to shop or to watch the latest movie together at the mall? 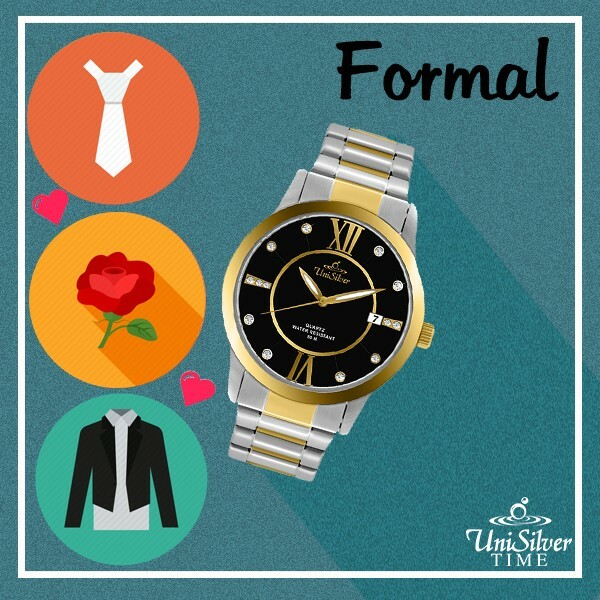 Make sure that he's still in fashion by dressing him up with a UniSilver TIME Gizmatic Analog Watch.This fun little timepiece would surely jazz up his casual attires. Aside from his killer smile (which you definitely love), this would enliven his looks, and in return brighten up your day. It's a win-win for both of you! Just make sure you hold his hands really tight because with this brightly colored watch, he might attract some girls, too. He's keeping in shape for you. So for all his sweat and effort at the gym working out or at the park jogging, he needs a watch that is light and could time his routine. 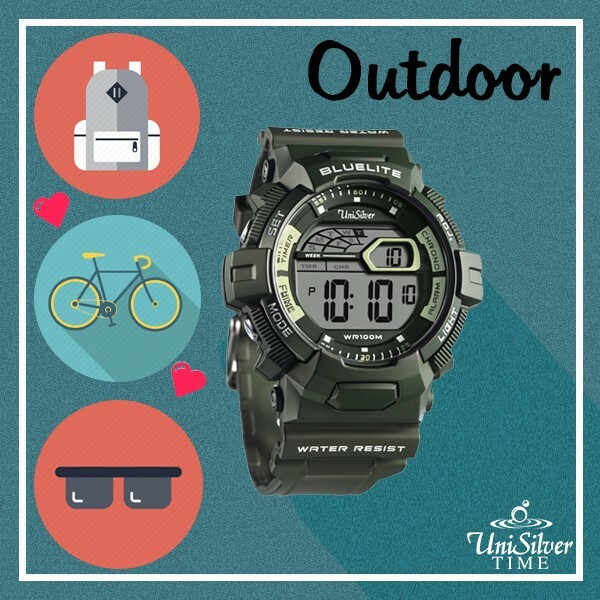 Well, UniSilver TIME Quad Touch Screen Digital Watch is the accessory for that task. This digital watch has a stopwatch, countdown timer and split timer functions for him to record his workouts and this watch allows easy access for these functions just by touching the screen. Neat, eh? Now, your man will always be in shape. Why not buy one for you as well and together you'll both be ready for that summer body? Remember, February is a month-long celebration of love. Surprise him and show him how much you appreciate his efforts for you by keeping the love burning with any of these awesome gifts!